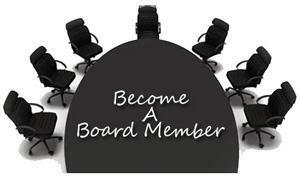 The Academy is seeking applications for the current vacant position on the board. An individual will be appointed to fill the vacant positions. Interested persons must submit a letter expressing interest in the board position and a resume with their qualifications for the position no later than April 19, 2019. Following a review of the submitted materials, the board will schedule interviews with selected candidates. Not all candidates for the board vacancy will be interviewed. If you have any questions, please email the Board Secretary at lisa.boyer@theacademyk12.org.